From entrepreneurial beginnings ProBikeKit has grown 10 times over into a leading global online retailer of high end road cycling equipment and apparel. PBK is considered one of the most respected names in the biking industry. With a dedicated workforce of riders and industry experts, PBK are the leading authority in road cycling online retail. 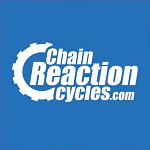 We stock some of the best cycle clothing, equipment and components in the world. Our global reach and sales volumes means we work with the best brands in the industry including Shimano, Campagnolo, Craft, Castelli, Michelin and Sidi..